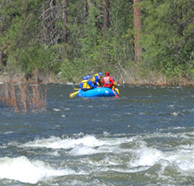 With our fantastic American River rafting season coming to an end, I found myself wondering what I should do for the winter. There is still work to be done for Whitewater Excitement over the winter months, however, there is also flexibility and time to travel as well. Last fall I had traveled out to West Virginia and raft guided on the Gauley river for 2 months. That was fun, but after talking to my dad and a few others, I decided to go a little further away, to New Zealand! 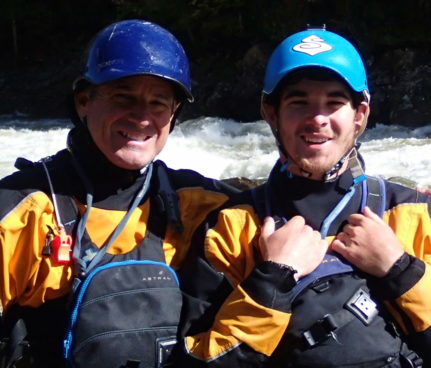 Fortunately, my dad still kept in contact with several kiwi guides that worked for us on the American river, and after a few email exchanges I was in contact with the owner of River Rats, a rafting company on the Kaituna River, one of the most popular rivers in NZ and home of the highest commercially rafted Waterfall in the World. With tickets purchased and my gear packed, I boarded the 14 hour flight to Auckland, where long time Whitewater Excitement and New Zealand river guide, Wade, picked me up and we headed to his place right on the river. How cool is that, I can walk to the put-in and back to his house all in under 5 min. New Zealand has a stricter river rafting guide license than back in California, so after 3 weeks of training with my company, “River Rats New Zealand”, and proving myself, I had my first solo trip guiding the Kaituna. This river is only 1 mile long, but boasts 11 very fun and unique rapids. The trip lasts about 50 minutes on the water, and the company runs 3 trips a day. After a few warm up rapids, you get to the first 2 waterfalls of the trip, Powerhouse and the Weir. The Powerhouse drop is about 8 feet, and the Weir 3 feet. The guests must get down and sit on the floor for both these drops, for good reason because sometimes things get a little rough. We can do a little rock jumping after the weir, then make our way down to above Tutea Falls, the highest waterfall commercially run on any river in the world. We give the option for the guests to walk around, but in all my trips no one wanted to. The Kaituna is a very forgiving river and all drops (rapids) end in a big deep recovery pool, which we say to persuade them to stay with the boat. They say the statistic is every 1 in 20 rafts flip on the 7 meter Tutea Falls, but it can happen a lot more often. Most of the time flipping at this drop is more fun than staying upright. I never had guests that didn’t like it when we flipped. 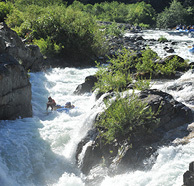 Below here is a swimming rapid and stand up rapid, and a couple rapids that we can surf. We take out above Trout Pool Falls, a drop that looks nice but is quite dangerous with a strong tow back and only done in kayaks. Working 3 trips a day is quite different from back home, luckily River Rats rafts 2 other fun rivers, the Rangitaiki and Wairoa, both that offer a full day of rafting. Keep an eye out for my River Rafting Travel Blog #2, which I will talk about and show some video of the the Wairoa river and some of the rivers I have kayaked. It is a beautiful country with lots of things to do. If you remember Lord of the Rings, this is where I am now. Best of all, when it’s cold and wintery back home in California, it’s summertime and warm here! 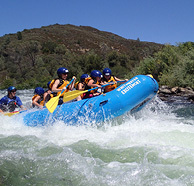 Until then, stay excited about the California river rafting season that is coming up fast, and with all the snow we have building up in the mountains, we are going to have the best season in a long, long time. You don’t want to miss it! PS – Our new website is now up and running, and has a lot more features, including video on the home page, blogs, and guide bios. There is also a way to choose your american river trip, by inputting your experience level, river trip you are interested in, and length of stay, a recommended trip will pop up for you!